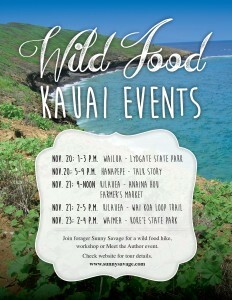 Maui Forager Brings Wild Food Plants of Hawaii on Inter-island Book Tour with Message of One Wild Food Every Day. 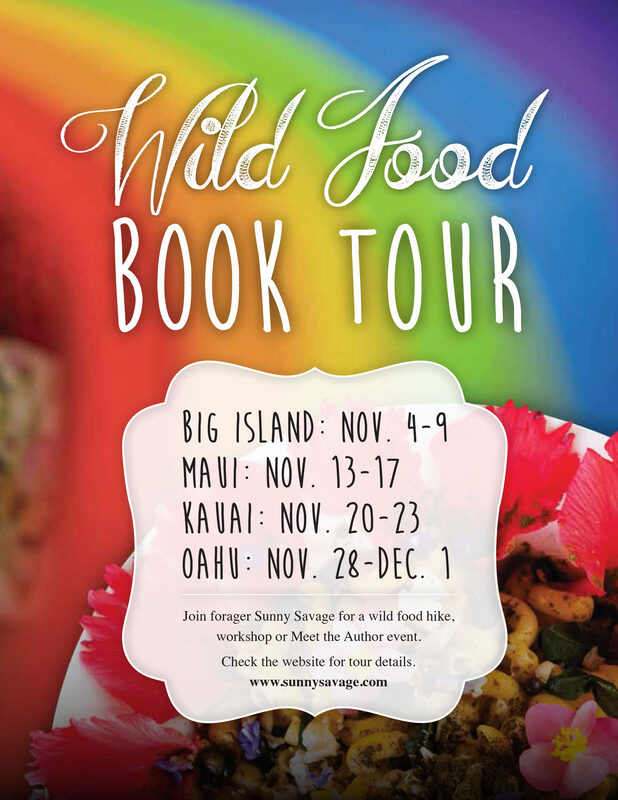 Sunny Savage, author of Wild Food Plants of Hawaii, offers guided wild food hikes, workshops and book signings throughout the month of November. 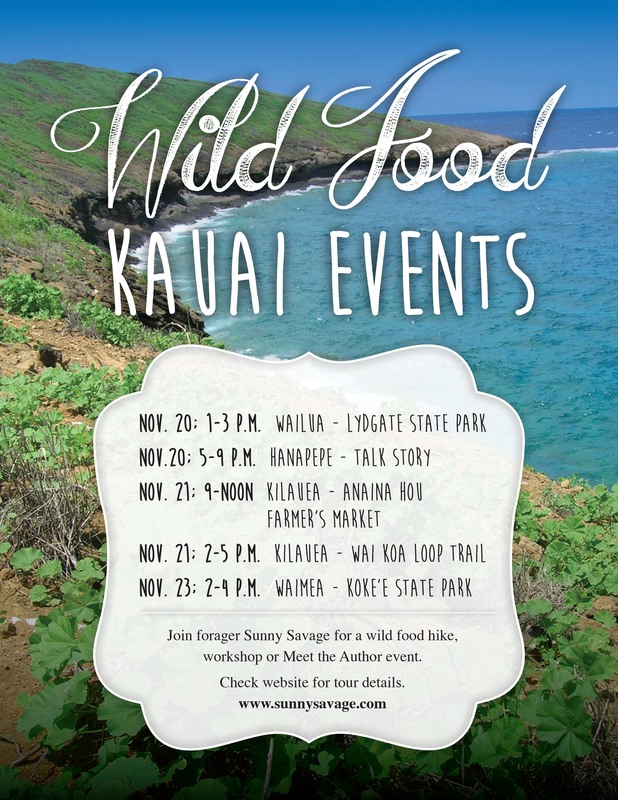 HAIKU, October 27 – Eating one wild food every day is the message of an historic wild food book tour happening around the Hawaiian Islands this November. Not since 1967, when Beachcomber’s Handbook by Euell Gibbons was published, has there been a resource for wild foods of Hawaii. In these long anticipated pages a new vision of health and sustainability are teased into the imagination. 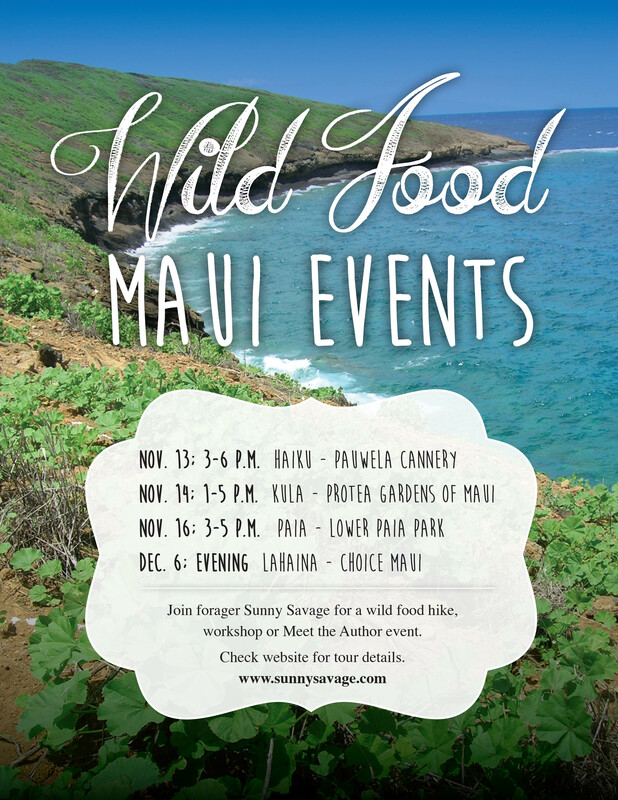 Events happening on the tour offer people around the islands the opportunity to learn first hand, with practical tools for successfully foraging in Hawaii. Maui resident Renee Riley says, “Wild Food Plants of Hawaii is a life changing book. If you live in Hawaii or visit, get this book. You’ll look at roadside “weeds” with new appreciation – and knowledge of how to turn them into healthy additions to your meals.” The book can be found at locations around the Hawaiian Islands, and an electronic version was released today on iTunes. Savage creates a bridge to real life skills in Hawaii, with exciting solutions to food security and global health issues. 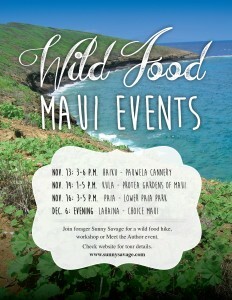 Details of the tour can be found at sunnysavage.com, Wild Food Plants, and on the SunnySavage – Wild Food Facebook page. There will also be a special chef event at Choice Maui in Lahaina on December 6th, for a featured seating of wild Garden Sushi. Sunny Savage is a wild foodie, teacher and adventurer. Author of Wild Food Plants of Hawaiʻi, her work has been featured in Edible Hawaiian Islands, Hana Hou Magazine, and ZLiving’s television series Hot on the Trail. 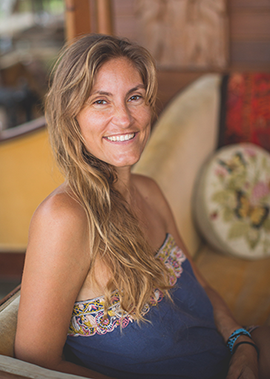 With a Masters Degree in Nutrition Education, and a lifetime of living close to the ʻāina, she blends her experiences into an easily approachable wild food lifestyle.